Los Abrigos Hostel i Tenerife, Spanien: Reservér nu! We do not accept cancellations for group bookings. Property has 1 bathroom, 1 shower room, 1 toilet/washbasin. Bunk beds only, no facilities for babies or toddlers. Location unsuitable for stag/Hen Parties or disabled as 4 storey townhouse with no lift. Please contact to discuss as security deposits may apply. 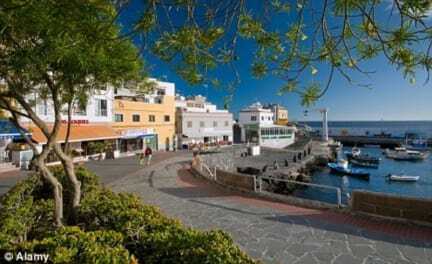 Los Abrigos Hostel in Tenerife South is located in a small, peaceful fishing village with a wide range of restaurants on the Atlantic coast in the Canary Islands. Situated just 15 minutes and 13. 1 kilometres (by car), We are close to Tenerife South Airport (TFS). Los Abrigos can be reached by bus or by taxi (around 20€ from the airport) or we can arrange collection. We offer clean, comfortable beds for the night in a safe environment, on a budget in a prime location in Los Abrigos. 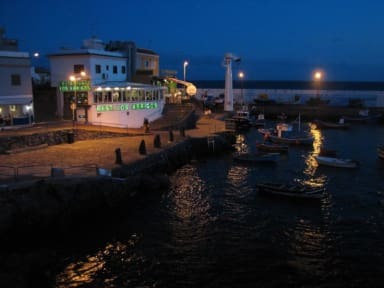 With a small quiet beach at one end, small coves at the other, the harbour with its many famous fish restaurants nestles between. Great base for exploring the island or hiking. The reception service is not open 24 hours, so please contact us beforehand to arrange the check in and check out time.